A lot of new figurines arrived this week! From the popular swimming anime Free! we ‘ve got Nanase Haruka in his Eternal Summer outfit. Who doesn’t like guys in uniforms? Or even better! From Sword Art Online we’ve got Asuna and Leafa in beach version. You know, these prize figures are the best value for money you can find, anywhere! There’s more amazing figurines that arrived at our warehouse like Hinata from Haikyuu or Ciel from God Eater 2. Be sure to check them all out! I’m happy to say that the new Attack on Titan vol 15 manga is in stock in our warehouse. The story continues and now I don’t have to worry about seeing spoilers on the social media anymore! 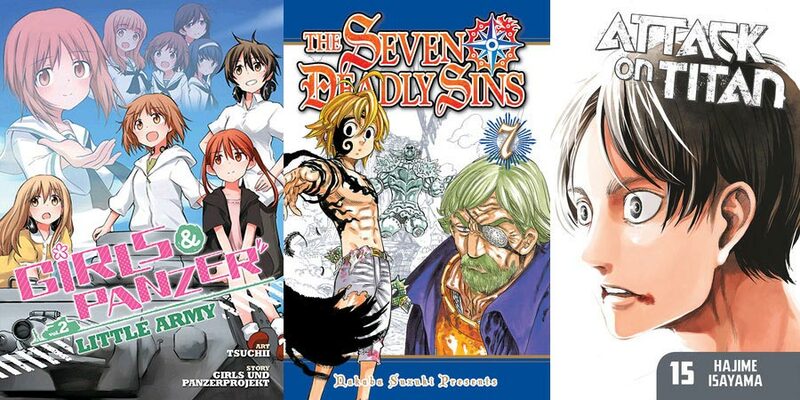 ;D Seven Deadly Sins vol 7 is also brand new and a must have for fantasy adventure fans. And for the comedy / slice of life fans among us, there’s always Girls & Panzer Little Army vol 2, D-Frag Vol 4 and My little Monster Vol 7. 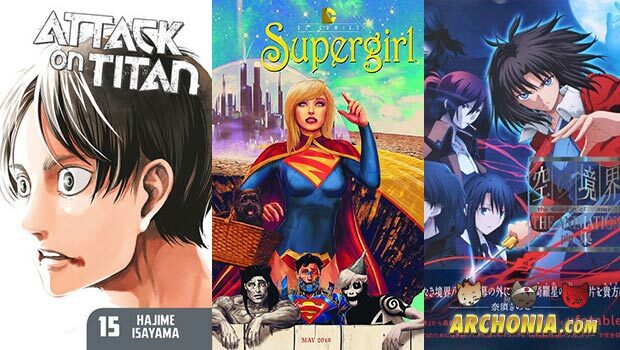 There’s many more manga to discover though, be sure to check them out! So many new artbooks. Let me show you some of our personal favorites! Starting off with the new Attack on Titan animation books. They explain every step of how this amazing anime has been animated. The new girls und panzer and love life illustration books with art from the characters and anime. Can’t get enough of cute girls? What about this Nitro Super Sonico Illustration book. Check out the rest at Archonia.com for more artbooks from your favorite series. But we can’t possibly show you our entire collection. Check out the rest at our website for more comic fun!